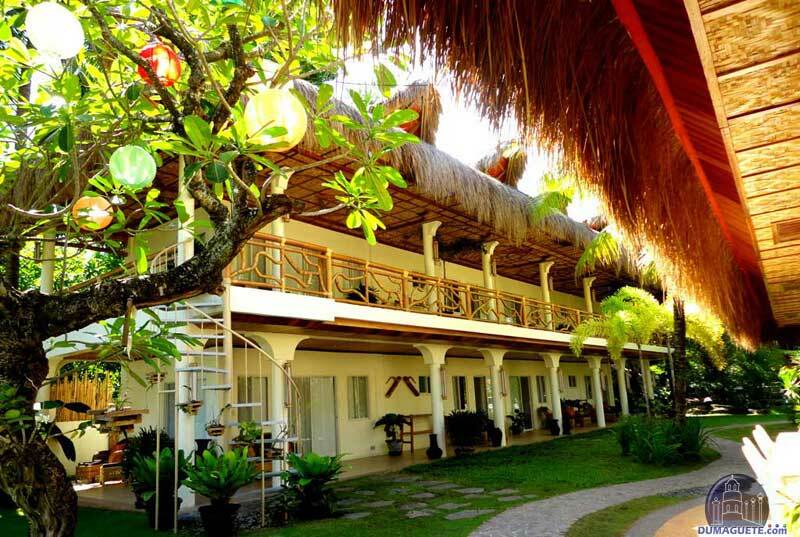 Mike’s Dive and Beach Resort is an eight room Boutique Dive Resort located south of Dumaguete on the beautiful beach front of Dauin, Negros Oriental. Dauin is the home of some of the Philippine’s best muck or macro dives and has some of the first and best managed marine protected sanctuaries in the Philippines. It is also the gateway to the stunning reefs of Apo Island, which is just a 35 minute boat-ride away. 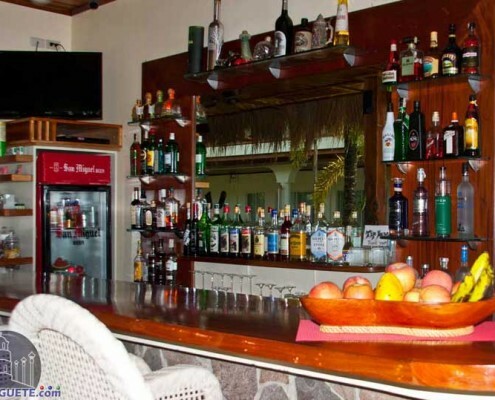 Mike’s Beach Resort is a warm and cozy family run beach and dive resort that surely makes you feel at home. Mike and his family living on-site. Mike and Joeann take care that your stay in the beach resort is all what you can ask for during your tropical diving holiday in the Visayas. 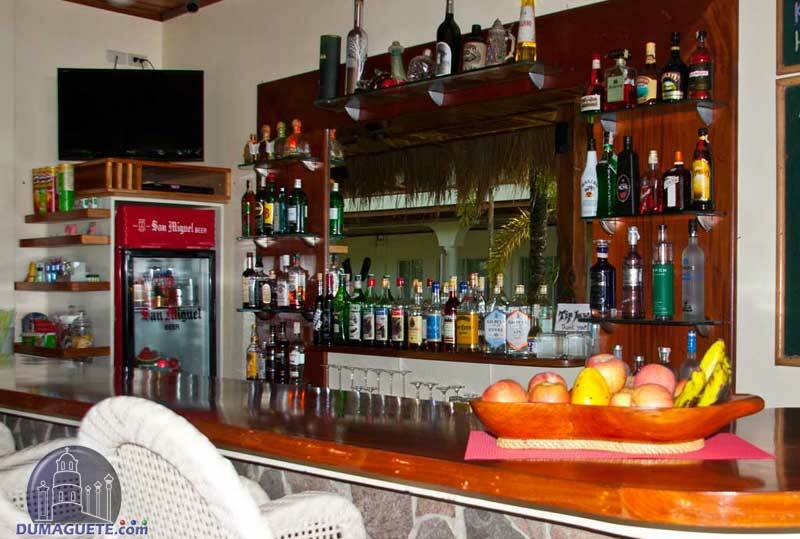 The Boutique Beach Resort in Dauin has 2 Deluxe rooms facing the Ocean and 6 Standard Rooms with view into the tropical garden of the resort. 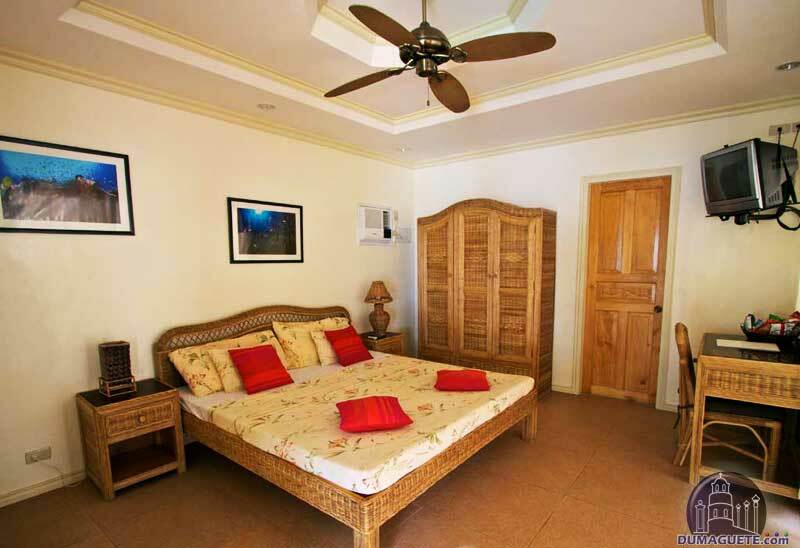 The rooms are located in a 2-storey building with spacious balcony or veranda. The Deluxe rooms are bigger with direct beach view. As one can expect from a modern resort, all rooms have hot shower, cable TV and free WiFi internet access for all guests. 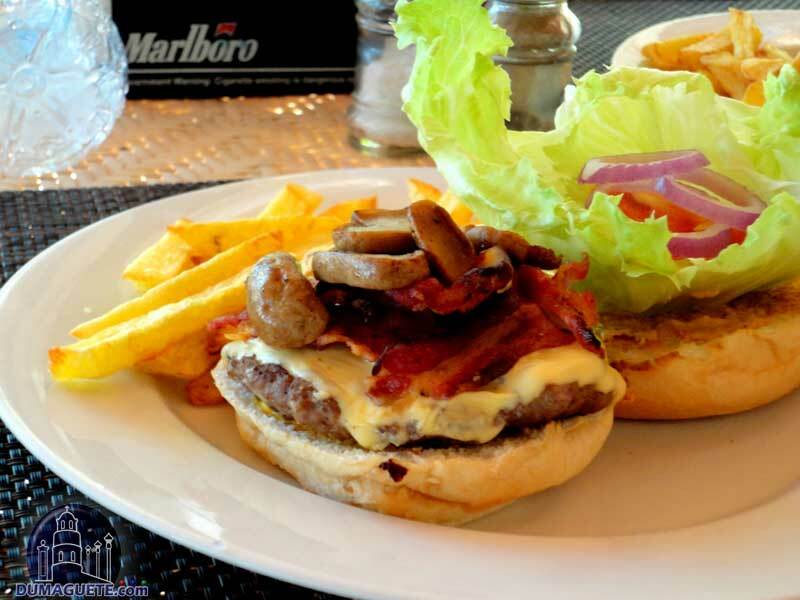 The delicious food of the Beach Resort goes a long time back, when Mike was running the Waterfront Café at Dumaguete’s Rizal Boulevard. The kitchen serves fresh, homemade foods from all over the world. 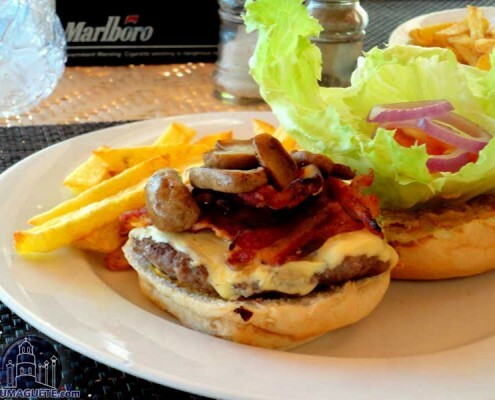 Choose from great Mexican, American, Continental or Asian meals. Of course local fresh seafood from the market is also a specialty. The world wide web is full of praises for diving in Dumaguete, respectively Dauin and Apo Island. To enjoy this world-class destination in Negros Oriental at its best, one also need to dive with a professional and safe dive operator. 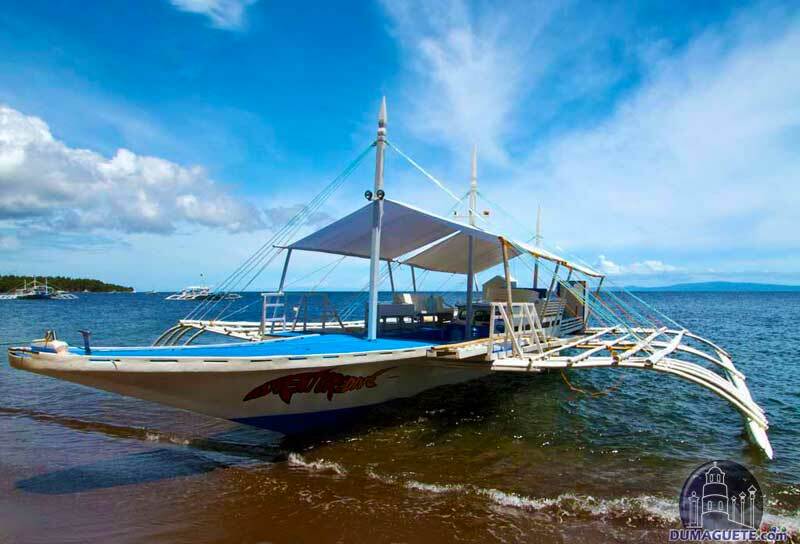 The two 70 foot bancas are designed to meet all scuba diver needs, no matter if you go on a daytrip to Apo Island, snorkeling with the whale sharks or do muck diving in Dauin. Mikes dive-guides have thousands of dives on under their belt and know each clownfish and turtle by their first name. The Pool at Mike’s Beach Resort is also used for SCUBA classes and meets all requirements to teach from beginner level up to professional PADI Dive Master level. If you want to try diving for the first time in your life, sign up for the Discover Scuba program. You get either a great “once-in a-lifetime” experience, or become an addict to the underwater world. 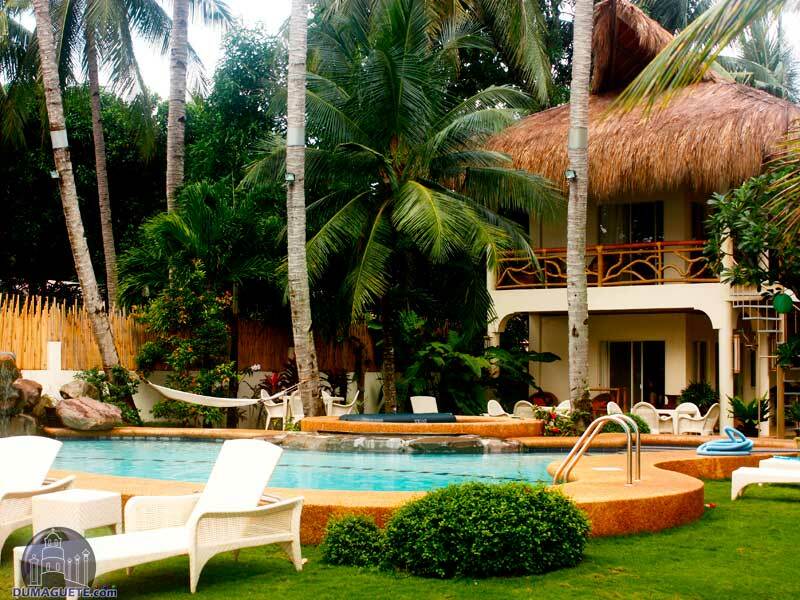 If planning to go to Mike’s Beach Resort with family and friends from Dumaguete, one is usually more than welcome. There is a small fee to use the facilities and the pool. In any case, one should get in touch with the Beach Resort in Dauin ahead of time. When it is high season, the Resort closes sometimes its gates for walk in guests. We heard some bad mouthing about that practice around Dumaguete. However, we think this is more than appropriate. 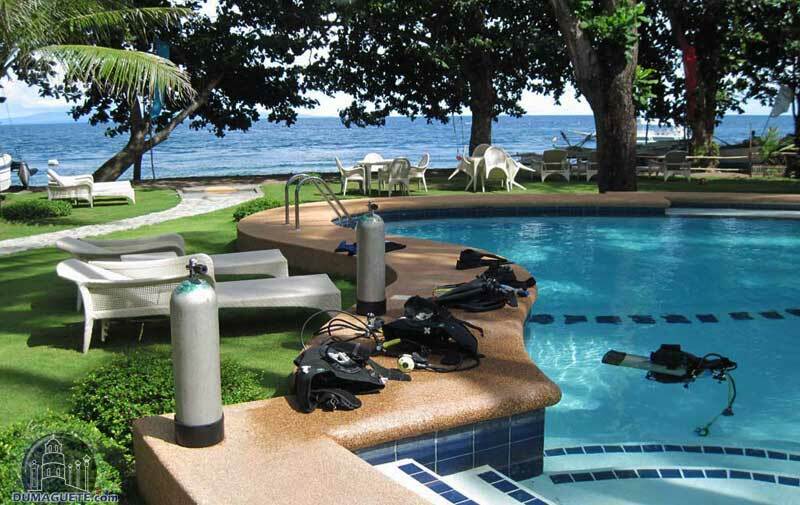 The main source of most Dive and Beach Resorts in Dauin is simply Scuba Diving. Now if guests fly around the half world, spend thousands of Euro or Dollar to spend their week of holiday in a nice small boutique resort. The facilities from pool to kitchen and toilets of those resorts are also planned and build to serve their in-house guests and staff. A resort with 8 rooms usually caters up to 20 people maximum.